All our beers are brewed on our 3-vessel 15 bbl Premier Stainless brewing system. 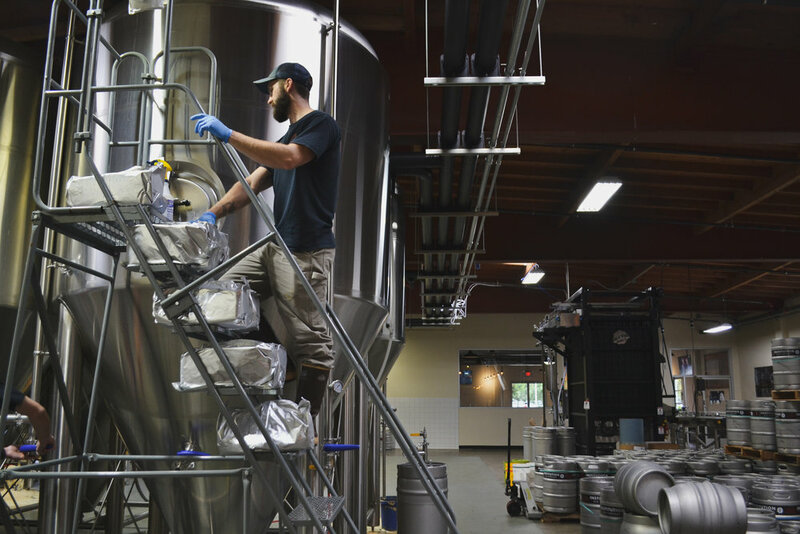 From recipe development, ingredient selection, brewing process and packaging, every beer is artfully crafted by our brew team in Camarillo, Ca. Quality and consistency are at the forefront of each batch as we strive to produce world-class, innovative takes on traditional styles. Beers are packaged in kegs (5.2 gallon or 15.5 gallon) or canned on our Wild Goose Canning line. Cans are sold in 16 oz. 4-packs exclusively in both our tasting rooms- check out our cans page for current can availability.